This weekend Turkey and the United States took steps toward getting more heavily involved in the Syrian quagmire. First, after a year of protracted negotiations, Turkey agreed to allow the United States to use Incirlik airbase to conduct operations against the so-called Islamic State. In return, the Obama administration has agreed to the establishment of a “safe zone” in northwestern Syria that “moderate Syrian opposition forces” would protect along with Turkish and American airpower. 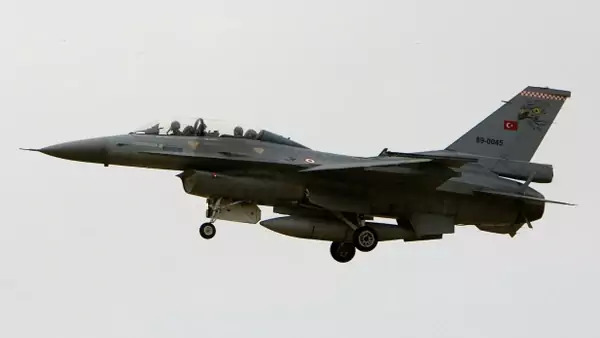 Second, Turkey undertook airstrikes against Islamic State positions in Syria and the forces of the Kurdistan Workers’ Party (PKK) in northern Iraq. The early reaction has focused almost exclusively on Ankara’s sudden interest in combatting the Islamic State and the establishment of safe zones as potential “game changers” in the fight against Islamic State leader Abu Bakr al-Baghdadi and the Assad regime. In reality this effort is likely to achieve much less than expected. It is true that the Turks have gotten more serious about the threat of the Islamic State, especially since the Suruc bombing on July 20, but Ankara, which has grown increasingly uncomfortable as the Kurds have made gains against Islamic State forces in Syria, is primarily interested in suppressing Kurdish nationalism. This has placed Washington in the odd position of having essentially given the go-ahead to its most reluctant ally in the fight against the Islamic State to combat some of the most effective fighters in that conflict —the Kurds, both the Turkish Kurds of the PKK and the affiliated forces of their Syrian cousins, the People’s Protection Units, known by the acronym YPG—under the guise of combatting the same enemy. This seems like a steep price to pay for the use of Incirlik while threatening to draw the United States into a war with no end. Why now? The United States and Turkey have until now disagreed over how to deal with the Islamic State. The Turks have maintained the position that bringing down the Assad regime in Syria would go a long way toward defeating the Islamic State. It is also a position that is politically self-serving since Turkish President Recep Tayyip Erdogan and Prime Minister Ahmet Davutoglu have made it a matter of principle that Syrian leader Bashar al-Assad “must go.” The Obama administration has taken the view that Ankara was overlooking the possibility that Assad’s demise might actually benefit al-Baghdadi, whose forces would take advantage of the additional chaos and bloodletting that would surely ensue. The White House has also been more focused on Iraq than Syria, much to Turkish chagrin. As the Washington Post’s Karen DeYoung and Liz Sly reported today, a number of recent developments altered Turkish and American calculations including the Islamic State’s threat to the Azaz border crossing along the northwest of the Syrian-Turkish frontier and Kurdish control of the Tel Abyad border crossing near Kobani. There was also the apparent Islamic State suicide bombing last Monday, which killed thirty-two people in Suruc, demonstrating the Islamic State’s ability to do damage inside of Turkey. All three developments have combined to convince the Turks that it was time to act, but for Ankara it is not just about the Islamic State. The Turks deserve praise for the way in which they have managed a huge number of Syrian refugees—1.8 million by last official count—but in addition to relieving some of the pressure of hosting so many refugees in Turkey, Ankara’s idea of a “safe zone” carved out of northen Syria seems also intended to make sure that Syria’s Kurds are unable to consolidate their battlefield gains against the Islamic State into what they call Rojava, or Western Kurdistan. The fact that this zone will be under the authority of some as-of-yet-to-be-determined Syrian opposition forces with Turkish and American protection from the air makes it significantly less likely that the Kurds will achieve their aims. Upon the announcement of the safe zone, the Syrian Kurdish leader, Salih Muslim, warned that the Turkish-American plan was essentially a ruse that was cover for sending Turkish forces into northern Syria. If Muslim is correct, then no one should expect that the forces affiliated with his Democratic Union Party will just allow it to happen. So instead of making the Islamic State their battlefield focus, as they have been doing with American support, the Syrian Kurds will also fight the Turkish army. What are the risks for the United States? By signing up with the Turks to establish a safe zone and then provide support to the Syrian opposition in its efforts to liberate Idlib and Aleppo, the United States may have cemented an alliance between Assad and the Islamic State. Defending both the safe zone and liberating large portions of Syrian territory seem way beyond the capacity of “moderate Syrian opposition forces”—though perhaps not the extremist variety. It seems that while Washington has undermined an ally in the fight against the Islamic State, it has given every reason for the Islamic State and Assad’s forces to work together—not unprecedented at all—against the safe zone and approved opposition forces attacking from the north. Based on experience, Turkish and American officials clearly believe that airpower can be decisive against both Assad’s battered forces as well as Islamic State fighters, but there is no guarantee that what worked in one area will work in another. There can be no assurances of success, but after years of avoiding the Syrian conflict, the Incirlik-for-a-safe-zone trade now puts the United States at risk of getting sucked into it. What happens if the Syrian opposition forces assigned to protect the safe zone cannot manage it? The Turks would likely happily deploy forces to help, but there would be tremendous pressure on the United States to do the same if only to keep an eye on the Turks. What if, warnings to Assad aside, Syrian air defenses—a major threat according to the Pentagon—bags an American plane? How would Washington respond? Like the debate about a “no-fly zone” at an earlier stage of the conflict revealed, there are myriad ways in which the United States can be pulled into Syria. How does the agreement with Turkey help the United States achieve its goals in Iraq and Syria? Ankara is a less potent ally in the fight against the Islamic State than the Kurds, it is no longer a significant player in the future of Iraq, and it maintains a wholly unrealistic view of what will happen in Syria if the Assad regime falls. The Middle East is hard and Syria is especially complex, but it is difficult to see what the United States gets out of the deal other than the runways of Incirlik. That is not going to solve either Syria or the problematic conditions that created the Islamic State, but it will pull Washington closer to war on Turkish terms. In Turkish it is called bataklık, or quagmire.